Internet-enabled ACH and wire transfer fraud have become so acute that the FBI, which is usually reticent to discuss bank losses or even acknowledge ongoing cases, has gone public about the scale of the attacks to bring attention to the problem. The FBI, the Federal Deposit Insurance Corp. and the Federal Reserve have all issued warnings in the past two months. “Our nation’s legislators are not doing their job in affording the same protections for business account holders that they do for consumer account holders,” says Litan. Several developments make this new form of fraud irresistible for cybercriminals. In a race to win more online business customers, many banks offer high limits on ACH and wire transfers, even though their systems lack modern technologies for detecting fraud, says Terry Austin, CEO of security firm Guardian Analytics. Meanwhile, stealthy, malicious programs borne by corrupted Web links lurk everywhere on the Internet: in e-mails, social-network postings, online ads, even search query results. Click on a tainted link, and you could get infected by a cyber-robber’s banking Trojan. Hundreds of new banking Trojan variants appear on the Internet every day. The number should top 200,000 in 2009, up from 194,000 in 2008, according to PandaLabs. The likelihood of any ordinary person getting his or her PC infected by a banking Trojan is so great that Gartner’s Litan tells acquaintances who run small businesses to switch from commercial online accounts to an individual consumer account. That’s because consumer-protection laws require banks to fully reimburse individual account holders who report fraudulent activity in a timely manner. However, banks have taken to invoking the Uniform Commercial Code — a standardized set of business rules that have been adopted by most states — when dealing with fraud affecting business account holders. Article 4A of the UCC has been interpreted to absolve a bank of liability in cases where an agreed-upon security procedure is in place and a theft occurs that can be traced to a compromised PC controlled by the business customer. The Western Beaver County School District in Pennsylvania, for one, is testing this stance. It is suing ESB Bank for executing 74 unauthorized cash transfers totaling $704,610 over four days during Christmas break a year ago. Court records show cash moved into 42 receiving accounts in several states and Puerto Rico. The bank retrieved $263,413 but did not recover $441,197. ESB’s attorney, Joseph DiMenno, says the bank is confident it will be “fully exonerated” but declined to discuss the lawsuit in detail. In a court filing, the bank denied any liability and said the district’s “failure to secure and protect” its computers and network were to blame for any damages. Gregory Schreacke, the bank’s president, said in an interview that Bullitt County’s “net loss” was actually $299,684. He said the bank stands by its decision not to make the county whole. Banking analyst Litan says it is unrealistic for the banking industry to promote Internet banking as safe based on the expectation that account holders will continually secure their PCs against cyberintrusions. “Banks should at least put a large disclaimer on their home Web pages advising customers that they bank online at their own risk,” she says. The banking industry acknowledges that online banking is risky and is doing all it can to address those risks without impairing development of electronic banking, says Doug Johnson, senior risk management adviser at the American Bankers Association. He says small businesses should heed the ABA‘s advice to use a dedicated PC for online banking. “The fraudulent transactions represent a very small portion of the millions of safe and successful ACH transactions conducted daily by businesses across the country,” says Johnson. The ABA‘s position is that each bank sets its own policy for how much liability to assign to business account holders when unauthorized transfers occur. In general, “Banks urge business customers to be aware of their responsibility to keep computers used for online banking free of malicious programs,” Johnson says. First, a researcher spends some time on Google locating the public Web pages of small businesses, local agencies and smaller organizations in the habit of posting names — and sometimes e-mail addresses — of a comptroller or a senior executive. Next, a graphic designer crafts an official-looking message purporting to come from the IRS or a shipping company addressed to the targeted employee. This is what’s known as “spear phishing,” a ruse to get the employee to click on a tainted Web link. Clicking on the link swiftly and silently installs a banking Trojan. One spear-phishing template in wide circulation purports to come from the target’s own tech department, says Amit Klein, CTO of security firm Trusteer. It instructs the recipient to click on a link to ensure continued access to the company’s Outlook e-mail system. “It’s well-crafted and very effective,” says Klein. Banking Trojans can be simplistic. One common variety readily for sale on the Internet installs keystroke loggers that record banking account log-ons typed by the PC user. The robber later uses the log-on to access the account. Others are intricate, crafted to defeat the single-use PIN codes, smart cards, security certificates and biometric scanners some banks require for ACH transfers and wire transfers. One such Trojan discovered by Trusteer set up a special chat channel to alert the attacker whenever the victim began to type in a key-fob-issued PIN code, which remains valid for 60 seconds. Acting quickly, the robber would then log on and set up a transfer, undetected, while the employee carried on other banking transactions. “The problem is growing, and the sophistication is increasing,” Klein says. Randy Vanderhoof counts himself lucky. The executive director of Smart Card Alliance, a Princeton Junction, N.J., non-profit advocacy group, moved quickly when he noticed suspicious wire transfers from the group’s Bank of America online banking account in July. The first two transfers were two micropayments, for 95 cents and 31 cents, that went to the same account at ING Direct, an online-only bank. That was followed two days later by a transfer of $25,000 into the ING account, followed by three more transfers for $25,000 and one of $24,800 in the ensuing four days, one transfer a day. Vanderhoof alerted Bank of America quickly enough for it to recover all of the transfers. He figures the micropayments were tests and that the subsequent big transfers indicate that the robber was being frustrated in attempts to convert the deposits into cash. He figures ING probably had the account under surveillance. But he doesn’t know because he says the banks did not satisfy his requests for a detailed explanation. ING declined to comment. Bank of America follows industry practice of not discussing customer cases, says spokeswoman Tara Burke. The bank takes security seriously and offers customers a wide array of security tools and services, she says. Vanderhoof closed the breached account and opened a new one, begrudgingly agreeing to pay Bank of America $125 more a month in fees for a service that permits transfers only from pre-approved parties. The service recently has blocked unapproved transfers of 12 cents, 25 cents and 38 cents. He concludes would-be cyber-robbers have obtained the log-on details to the new account and are testing whether the bank will make unauthorized transfers. Source: Panda Security online survey of 1,400 small and midsize U.S. businesses in July. Margin of error is +/- 1.3 percentage points. Mules transfer funds between drops until the cash makes it into the robber’s hands. “There are thousands of money mules used to launder hundreds of millions of dollars,” says Uri Rivner, director of anti-fraud technologies at RSA, the security division of EMC. For several months in late 2008 and early 2009, RSA tracked activities of a website posting pitches for work-at-home “correspondence managers.” The site’s operators received 1,925 American applicants, hiring 33. Shortly after, the site shut down, and the recruiter presumably put the mules to work. The criminal takeover of online banking accounts has become so prevalent among small and midsize businesses that experts are calling for account holders to take immediate precautions — and for banks to tighten security. Conduct online banking activity only from a stand-alone PC that is never used for e-mail or Web browsing. A dedicated PC is less likely to get infected by malicious programs lurking everywhere on the Web. As an alternative to dedicating a single-use PC, use only a locked-down browser from Authentium, or the Ubuntu open-source browser, launched from a CD or USB memory stick. Ask your bank to fully explain its policies regarding fraud losses. Keep your anti-virus and anti-spyware subscriptions current. Monitor your accounts daily and report discrepancies promptly. Stay abreast of advisories about the latest threats. Offer customers “session protection” technology, such as those supplied by Trusteer and Prevx, designed to lock out malicious programs. Use transactional analysis technologies — such as those supplied by Actimize, Entrust, Guardian Analytics and others — designed to detect and block suspicious cash transfers. Home prices were flat in October after rising five months in a row, but economists say the housing market at least has stabilized after a three-year free fall. Experts, however, are split over whether prices will resume their climb or decline moderately again next year before mounting a more sustainable rebound. Housing prices were unchanged from September (not seasonally adjusted), according to the Standard & Poor’s/Case-Shiller home price index, which tracks 20 large cities. Prices rose in seven of the 20 metro areas, down from nine in September and 18 last summer. Overall, home prices are up 5.3% from their April low, partly on cheap mortgage rates and a tax credit for first-time home buyers that Congress extended to April 30 and expanded to existing homeowners. David Blitzer, who oversees the survey for Standard & Poor’s, says he’s not surprised by the slowdown, noting the run-up was fueled by the stock market rally and pent-up demand. In October, prices rose in Los Angeles, San Francisco, Seattle, San Diego, Phoenix, Detroit and Portland, Ore. Homeowners are still beset by an epic real estate bust. Home prices in the 20 cities are down 29% from their peak in the second quarter of 2006. The good news is that year-over-year declines have eased steadily and dramatically this year. The average drop in home prices for the 20 cities in October vs. a year earlier was 7.3%, down from 9.4% in September and 19% in January. Economists differ over what will happen in 2010. Patrick Newport of IHS Global Insight predicts values will fall an additional 5% to 10%. He cites a new wave of foreclosed homes that will drive up supply and the reduced impact of the tax credit. Most home buyers who wanted to take advantage of the credit did so before it was originally slated to expire Nov. 30, he says. But Joel Naroff of Naroff Economic Advisors expects home values to rise 3% to 6% next year despite the fresh crop of foreclosed homes. He expects banks to ease tight lending standards that have limited sales of expensive homes. Meanwhile, unemployment will fall modestly, emboldening leery consumers, and the tax credit will spur more buyers as the April deadline nears, Naroff says. Separately, a closely watched index of consumer confidencerose to 52.9 in December, up from 50.6 the previous month and in line with analysts’ estimates. The critical “expectations index,” which measures consumers’ short-term outlook, jumped from 70.3 to 75.6, its highest level in two years. Also, 16.2% of consumers expect more jobs to become available in the next six months, up from 15.8% in November. The portion expecting fewer jobs fell to 20.7% from 23.1%. The overall index is up from its low of 25.3 in February but is still quite weak by historical standards. The mere hint that federal Finance Minister Jim Flaherty might step in to tighten mortgage requirements to cool an overheated housing market has sparked a lobby urging him not to do it. Steps to raise down-payment requirements and shorten mortgage amortization periods could do more damage than the problem Flaherty is trying to stem, the Mortgage Brokers Association of British Columbia (MBABC) said Wednesday. Late last week, Flaherty, in an interview with Canwest News Service, said the government is watching and remains ready to make changes in mortgage requirements if the boom in housing sales becomes a bubble. Low mortgage rates, Flaherty said, are helping to push home prices up, and he is ready to act on down payments and mortgage amortization periods if that trend gets out of hand. However, MBABC president Joe Santos cautioned Wednesday that much of the heat Flaherty is seeing in the market has already been spent and that the finance minister should wait before making any decisions on mortgages. Santos said the pent-up demand for housing from the buyers who fled the market during 2008’s sales collapse, combined with buyers jumping into the market sooner than expected to take advantage of record low mortgage rates have driven the buying binge and driven prices up over the last half of 2009. “But we’re into December now, and things [in the market] have slowed considerably,” Santos added. Going into 2010, Santos said the association’s expectation, in keeping with forecasts from the B.C. Real Estate Association and Canada Mortgage and Housing Corp., is for sales to ease off, supplies of new listings to increase and prices to edge up more modestly. Santos said one fear in the industry is that if Flaherty were to step in too soon and clamp down on mortgage qualification criteria, that would put an unnecessary dent in the market. However, the concern on Flaherty’s side is that the recent surge in property sales, fuelled by rock-bottom mortgage rates, is encouraging Canadians to take on levels of debt that they won’t be able to maintain once rates rise. That is the warning Bank of Canada Governor Mark Carney has sounded on a couple of occasions in December. Carney, in a regular Bank of Canada discussion document and in a speech to an elite Toronto business audience, noted that the amount of debt that Canadians are taking on is increasing just as the economy is coming out of recession. That amount of debt, he added, makes consumers more vulnerable to a financial squeeze once interest rates, set at low levels to try and stimulate the economy, rise. McLEAN, Va. (AP) — The average fixed-rate for a 30-year mortgage climbed above 5% for the first time in two months, leading to a decline in mortgage applications. The average fixed rate on a 30-year mortgage was 5.05% this week, up from 4.94% last week, Freddie Mac said Thursday. The last time rates were above 5% was the week ending Oct. 29, when they were 5.03%. Mortgage rates have risen since they hit a record low of 4.71% the week of Dec. 3. They are closely tied to yields on long-term government debt, which have gone up since then. Higher rates usually lead to a decrease in loan applications to purchase or refinance a home. Mortgage applications for purchases fell nearly 12% last week compared with the previous week, while refinance applications dropped 10%, the Mortgage Bankers Association said Wednesday. A Federal Reserve program to buy $1.25 trillion in mortgage-backed securities has kept rates on 30-year mortgages around 5% this year. The program, designed to make home buying more affordable, is set to end next spring. The average rate on a 15-year fixed mortgage rose to 4.45% from 4.38% last week. Rates on five-year, adjustable-rate mortgages averaged 4.4%, up from 4.37% last week. Rates on one-year, adjustable-rate mortgages rose to 4.38% from 4.34%. The rates do not include add-on fees known as points. The nationwide fee for loans in Freddie Mac’s survey averaged 0.7 point for 30-year loans. The fee averaged 0.6 point for 15-year, five-year and one-year mortgages. 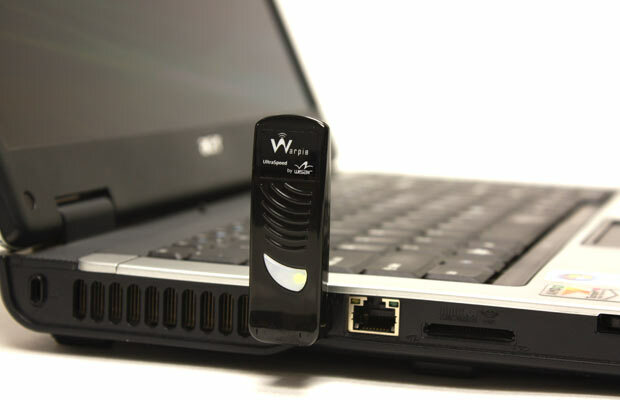 Recently launched by Source R&D, the Warpia USB adapter lets you stream media wirelessly from your laptop or desktop computer to your television. Put slideshows, photos, movies or streaming video on your big-screen TV or projector with a PC adapter that connects to a USB port on your computer and a display adapter that connects to a television, projector or monitor, offering both VGA and HDMI connectivity. Audio is supported through the HDMI port or through a 3.5-mm stereo jack. Wireless range is up to nine metres. www.warpia.com. Keeping all our electronic gadgets powered up can be a messy problem. If you’ve had it with octopus cords extending from every outlet, take a look at the new Powermat, in home and office or portable versions. The home and office mat charges up to three powermat-enabled devices wirelessly, plus one via a USB port. Comes with powercube universal receiver with eight tips. 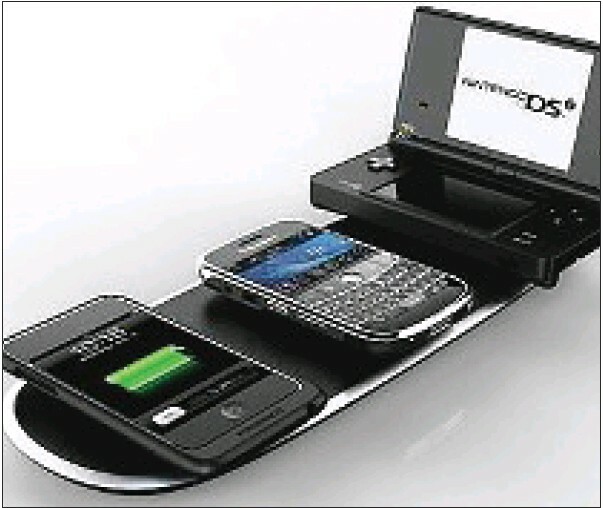 www.powermat.com. 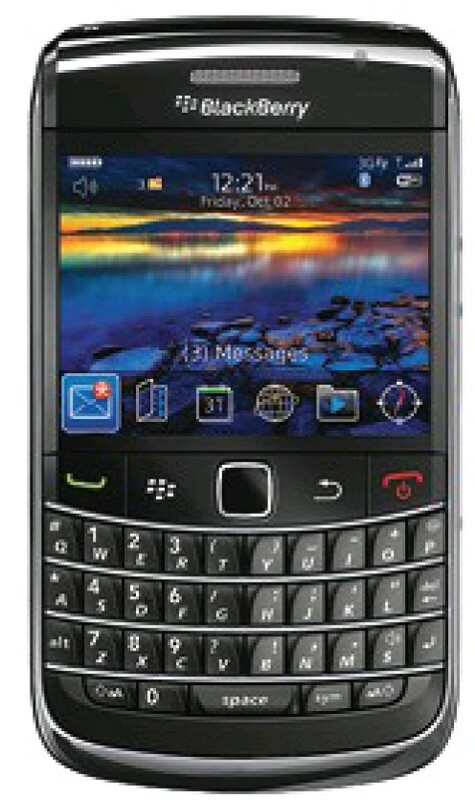 From Canada’s latest entrant into the wireless market, the BlackBerry Bold 9700 comes with a no-contract price. The newly launched company is offering talk plans starting at $15 a month up to $45 for unlimited talk, text and voicemail, while in Wind home zones. BlackBerry data starts at $10 a month for unlimited use of such services as Facebook, MySpace, BlackBerry, Messenger, Windows Live, Google Talk and other networking services, to $35 for that plus e-mail for up to 10 accounts, as well as unlimited Internet, including tethering. Wind Mobile has launched in Toronto and Calgary, with Vancouver, Edmonton and Ottawa due to follow early in 2010. www.windmobile.ca. Connect to any Bluetooth enabled notebook. With 1600-dpi resolution and eight-way scrolling technology that allows scrolling in eight directions without having to use the scroll wheel. www.amagazone.com. Atithi Indian restaurant needs a shout-out, so here I am, shouting out. The jovial owner, Abhishek Roy, was the executive chef at the fancier Maurya Indian restaurant before going it on his own two years ago. You won’t find such fancy digs here, but it’s neat and comfortable. Tables have polished granite tops and the food isn’t merely plopped on the plate. It’s plated, fine-dining style. Roy calls it homestyle Indian food. “It doesn’t have too much cream or spices. It’s more simple and that’s what I’m focusing on,” he says. It’s so homey, many of the techniques and dishes are hand-me-downs from his mother. “I always am influenced by Vikram Vij and what he’s done to Indian food. He’s an inspiration to me,” he adds. “When I came to North America, I saw that Indian food here is on the heavier side. When Indian people started opening restaurants here, they used tomato and cream and lots of ghee because they thought it was more palatable to people here,” he says. His mother, he says, never used cream because it wasn’t available. One of the earmarks of his modern style of Indian cookery is the blackboard specials featuring ingredients he’s picked up on his daily shop, mostly at Granville Island. He tries to shop organically and definitely from local sources, he says. Lunch is somewhat more pedestrian and served buffet-style, with about a dozen dishes ranging from butter chicken to samosas and cumin potatoes. The dinner menu offers the more interesting dishes as well as lots of specials. You have to try the “frankie,” which is a Mumbai street food. Think of it as an Indian hotdog. Chicken or lamb is mixed with egg, paneer, vegetables and spices then is wrapped with several layers of paratha. It’s served with french fries and a mint and a tamarind dip and for $6, not a bad deal at all. His pakoras and samosas are nothing like the heavy, dense, oily versions we’ve all munched on. His jackfruit pakora is his mom’s recipe. I’d go so far as to say the vegetable samosa is the most delicate I’ve ever had. Desserts also have a light touch. The rice pudding was too liquid for my liking, but the gulab jamin was perfectly golden, perfectly round with a delicate honey accent. At the very least, if you’re stuck for a place to grab a bite before a movie at the Fifth Avenue Cinemas, grab a frankie and samosas here. The Commerce Department says November sales fell 11.3% to a seasonally adjusted annual rate of 355,000 from a downwardly revised 400,000 in October. Economists surveyed by Thomson Reuters had expected a 440,000 annual rate. November’s median sale price of $217,400 iwas down nearly 2% from $221,600 a year earlier, but up about 4% from October’s level of $209,400. The only strong region was the Midwest, where sales rose 21%. Sales fell 21% in the South, 9% in the West and 3% in the Northeast. Builders had 235,000 new homes for sale nationwide at the end of November. That was down 2% from October and the lowest inventory since April 1971. At the current weak sales pace, that still represents nearly eight months of supply. Despite the poor showing from new home buyers, the housing market has been recovering from the worst downturn in decades, largely due to a massive infusion of federal assistance. The National Association of Realtors said Tuesday that sales of previously occupied homes rose 7% in November to the highest level in nearly three years. But builders aren’t brimming with enthusiasm. The National Association of Home Builders said last week that its index of industry confidence fell to the lowest level since June, reflecting concern that job losses and a slow economic recovery will continue to stifle demand. Robert Toll, CEO of luxury builder Toll Brothers (TOL) said earlier this month that demand has been “choppy” after several strong months in the spring and summer. Dockside Green, one of the highest-profile and most innovative developments on the south Island, will “take a pause” in the wake of the departure of developer Joe Van Belleghem. 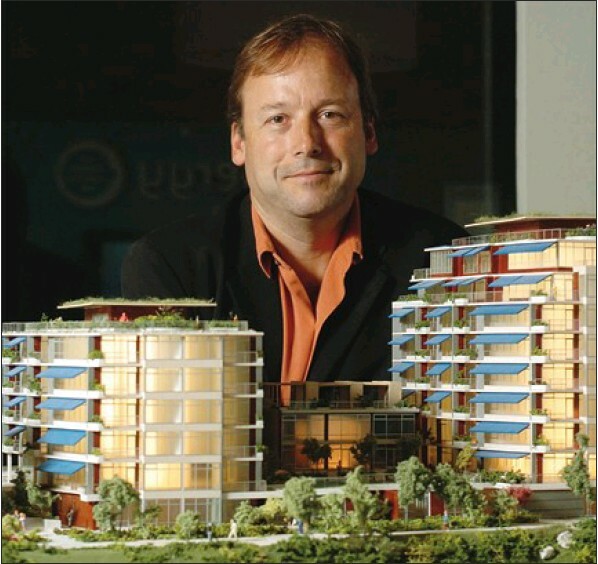 Van Belleghem, the charismatic public face of Dockside, is selling his share of the mixed-use project in Vic West to partner Vancity Savings Credit Union. Vancity will assume 100-per-cent ownership of the $650-million development, according to a news release issued this week by Vancity. Vancity will pause “to review all aspects of the projects as we move into the next phase of its development,” according to the release. Neither Van Belleghem nor Vancity was available for comment. Dockside has been internationally recognized for its green initiatives. The project, which occupies six hectares of former industrial land facing the Inner Harbour, started in 2006 and is close to one-third completed. It has about 450 residents. “We intend to move forward with Dockside Green’s building program, including its affordable housing components,” Tamara Vrooman, Vancity president and CEO, said in the release. Developer Gordon Smith will “lead a team to move us further toward achieving our long-standing environmental, social and financial goals,” she said. Van Belleghem is selling his Windmill West Group interest in Dockside. The Windmill West website says that company is co-chaired by Van Belleghem and Jack Julseth, co-founder of Three Point Properties, a major developer on Vancouver Island. Dockside’s 2010 business plan has been developed and its major infrastructure has been built, Van Belleghem said in the release. He will continue to work on local projects, including Three Point’s proposed mixed-use Bamberton development in the Cowichan Valley. When finished, it is anticipated Dockside will have a population of 2,500 residents in three neighbourhoods. Plans call for 26 buildings totalling 1.3 million square feet, featuring residential, retail, office, live-work units and light industrial uses. WASHINGTON (AP) — Home resales surged 7.4% in November from October, to the highest level in nearly three years, as expiration of a federal tax credit spurred buying, the National Assocation of Realtors said Tuesday. November sales rose to a seasonally adjusted annual rate of 6.54 million, from a downwardly revised pace of 6.09 million in October. Buyers were racing to complete their sales before the original expiration date of a tax credit for first-time buyers that was scheduled to expire Nov. 30. Last month, Congress decided to extend and expand the credit into 2010 to ensure the housing market could sustain its recovery. The Realtors estimated that about 2 million homebuyers have taken advantage of the credit so far, and forecasts that another 2.4 million will use it by the middle of next year. First-time buyers made up about half of all transactions last month, driving sales 44% above last year’s levels, a record jump. Sales of existing homes are now up 46% from the bottom in January, but down 10% from the peak more than four years ago. The median sale price was $172,600, down 4.3% from a year earlier, but up 0.2% from October. The inventory of unsold homes on the market fell about 1% to 3.5 million. That’s a healthy 6.5-month supply at the current sales pace, lowest backlog in three years. Besides the tax credit of up to $8,000 for first-time buyers, homeowners who have lived in their current properties at least five years can now claim a tax credit of up to $6,500 if they relocate. To qualify, buyers must sign a purchase agreement by April 30. Pusing the deadline to April could mean sales will drop during the winter months and recover in the spring. “Buyers have no sense of urgency now,” said Gary DeRosa, an agent with ZipRealty in Seattle. “Co-working” and “hotdesking” are growing trends with companies that are abandoning high-priced real estate in favour of more practical — and less pricey — workspace solutions. With inner-city Vancouver home to many independent tech and creative entrepreneurs, a newly opened shared workspace is a natural. It was created by Building Opportunities with Business, a non-profit aimed at supporting business development and job opportunities in the inner city. High-ceilinged, spacious and located on the main floor of a building at 163 East Pender St., the shared open space gives tenants desk space, along with chairs, tables, couches and other furnishings that distinguish it from a less-inviting cubicle office. Art on the walls showcases local artists. “If you are a creative person, you need a certain amount of energy. But you also need the ability to concentrate, and you need some peace,” said Lorraine Murphy, the night manager of the BOB space. Murphy has been working out of cafes since another shared office, WorkSpace in Gastown, closed down earlier this year. “This has plenty of room. I like the fact we’ve got natural light with window seats. You can hang out with friends with a cafe or living-room kind of vibe in the front, and you can have your head down at a desk toward the back,” said Murphy. The shared workspace is only one initiative of BOB, which is also involved in job programs and an initiative to improve the facades of vacant storefronts in the Downtown Eastside and in Chinatown. “We hope that this open shared work space can contribute to the revitalization of the inner city by providing a space for creative professionals to flourish, for ideas to percolate, to cross pollinate, for businesses to grow, a place where stuff gets done,” reads BOB’s announcement of the new shared workspace. Wi-Fi, a fridge, microwave, filtered water cooler and secure bike storage round out the offerings that come at a flat rate of $200 a month. “We’re looking for creative professionals, progressive thinkers, the socially responsible and ecologically conscious who want to be surrounded by others of like mind. Folks who want more than a cubicle and a 9-to-5, and dream of bigger things and a better Vancouver to call home,” reads the announcement by BOB. For information on the newly launched centre, e-mail [email protected], or check the Building Opportunities with Business website at www.buildingopportunities.org. You are currently browsing the Les Twarog Vancouver Real Estate and Condo Blog blog archives for December, 2009.